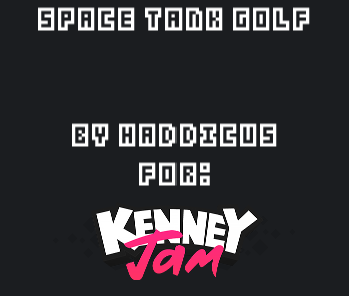 8 Levels of golf, in space, with tanks! Get it to the hole! Awesome dude! It is a good game! If you are starting out this is super good if not still super good! Thanks man! Yeah, this was one of my very first 2d games I ever built... I've come a long way from here lol - but I appreciate the comments! I'm hoping to revamp this and make it more entertaining, sometime in the future ;). Awesome job! I really like the gravity well at the cup. Neat effect.